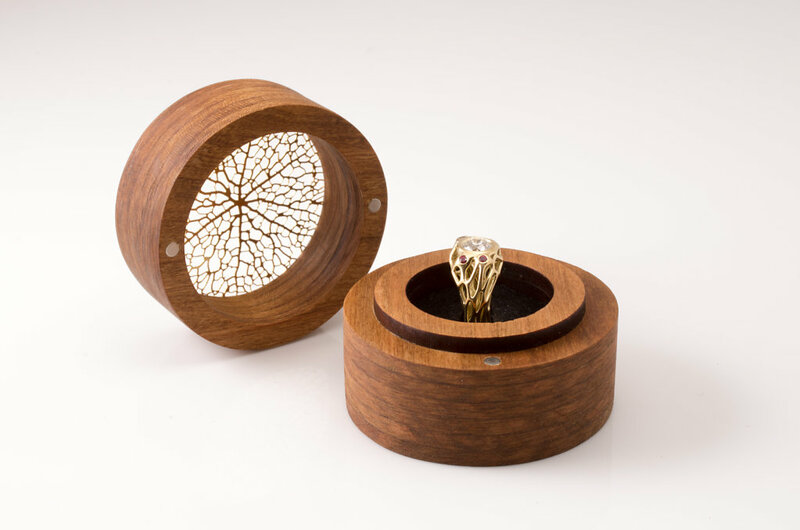 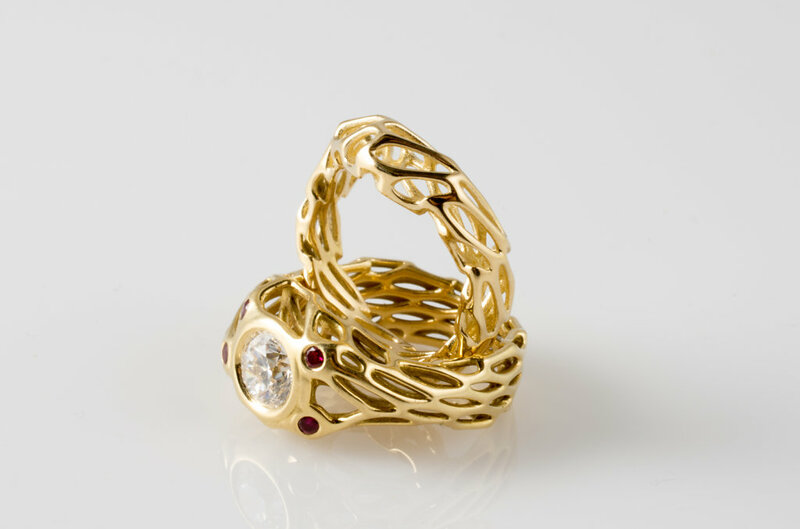 A custom diamond engagement ring was co-created with a customer using our Cell Cycle app. 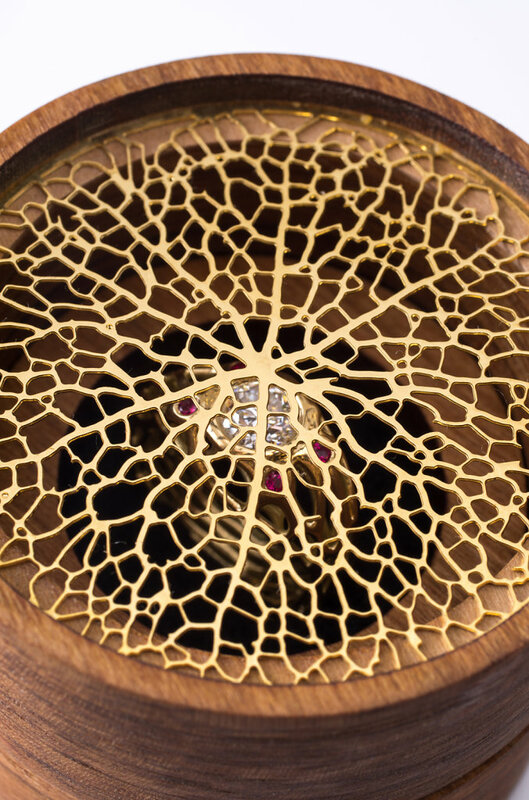 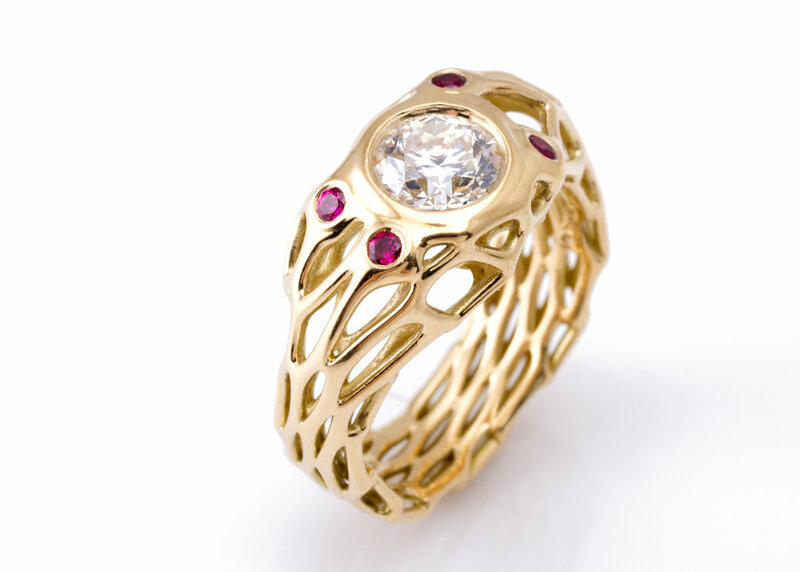 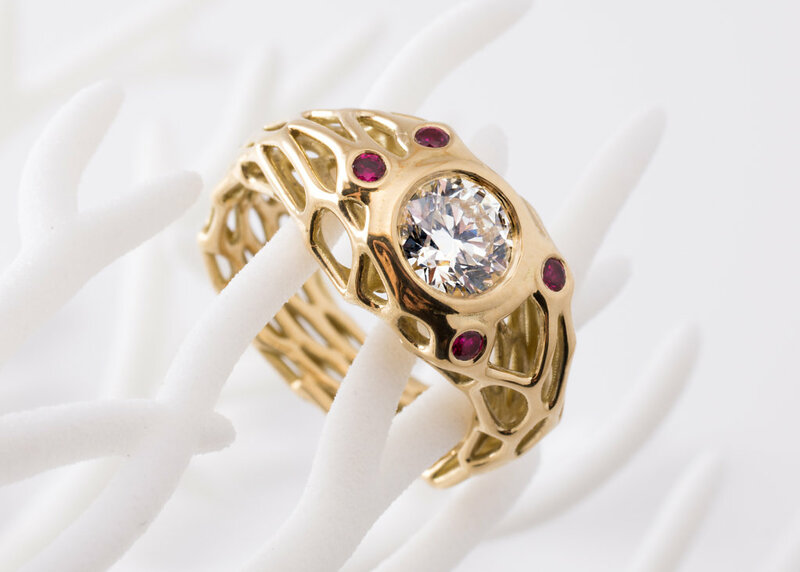 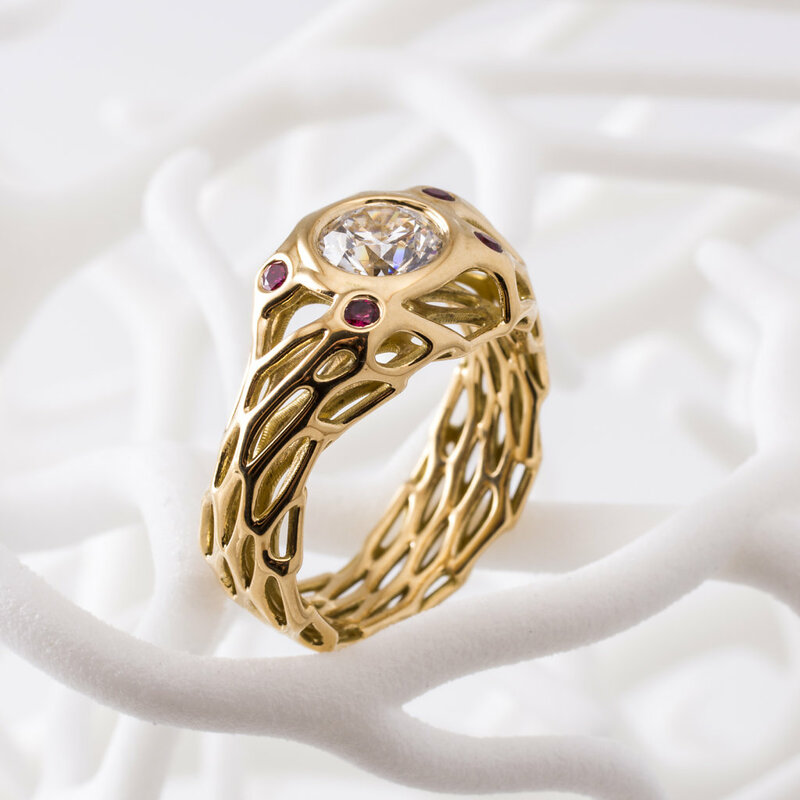 The ring was produced in 18 karat yellow gold with a central diamond surrounded by four small rubies. 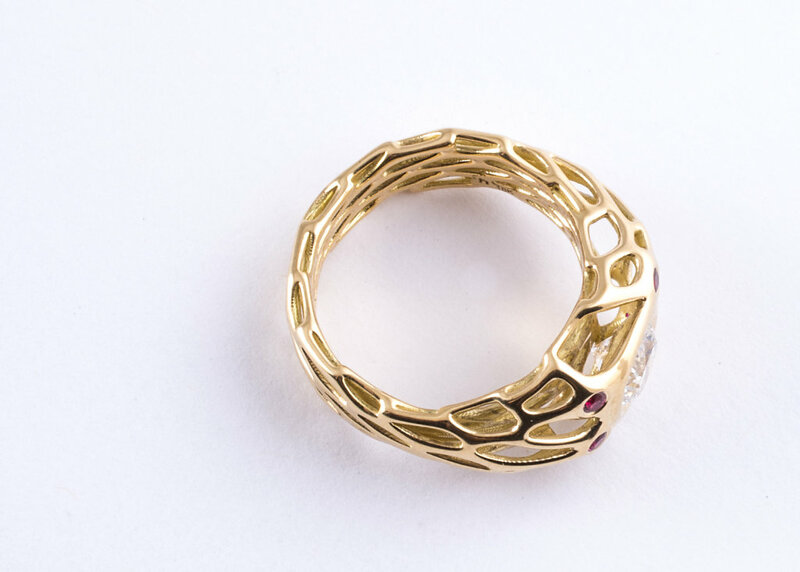 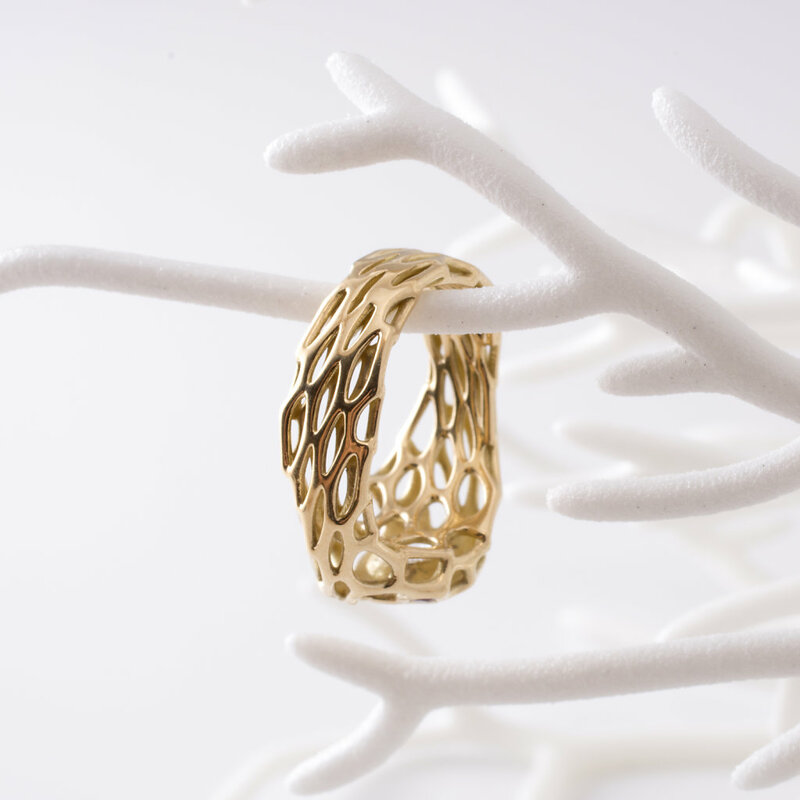 Later we also produced a matching wedding band which nestles with the shape of the engagment ring.